From Kamarul Irwan Alias HANOI, Oct 27 (Bernama) -- Malaysia still lacks potential skilled manpower to meet the country's demand, according to Human Resources deputy minister Datuk Seri Ismail Abdul Muttalib. KANGAR, Oct 24 (Bernama) -- The School of Manufacturing Racing Team (SMaRT) of Universiti Malaysia Perlis (UniMAP) has emerged champions in the 250cc category of the 2014 Educational Innovation of Motorsports & Automotive Race (EIMARace) at Dato Sagor Circuit, Perak. TOKYO, Oct 21 (Bernama) -- The Japanese and US governments have agreed to conclude a pact that allows environmental surveys in US base sites in Japan, Japan's Jiji Press news agency reported. SHAH ALAM, Oct 15 (Bernama) -- More than 1,000 Universiti Teknologi Mara (UiTM) 'residents' participated in the university's inaugural 1,000 Steps programme Wednesday. 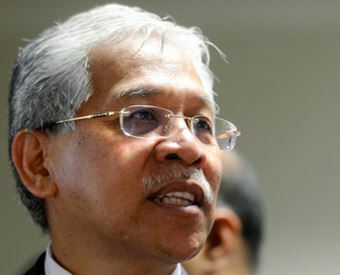 KUALA LUMPUR, Oct 14 (Bernama) -- The proposal to set up the Felda University cannot proceed due to the high cost factor, said Deputy Minister in the Prime Minister's Department Datuk Razali Ibrahim. KUALA NERUS, Oct 8 (Bernama) -- A total of 50 delegates from 10 countries are participating in the International Conference on Informatics and Applications 2014 (ICIA2014) and the International Conference on Information Security and Cyber Forensics (InfoSec2014) at Universiti Sultan Zainal Abidin (UniSZA) here. KUALA LUMPUR, Oct 7 (Bernama) -- The Education Ministry will not compromise with any individual involved with or was responsible for the Ujian Pencapaian Sekolah Rendah (UPSR) 2014 question leaks.